ROME (Reuters) - The Italian cabinet is due to meet on Monday to approve a 2019 budget which envisages a jump in the deficit that has upset financial markets and drawn criticism from the European Commission and other international bodies. The government, backed by the right-wing League and the anti-establishment 5-Star Movement, has already issued the financial framework for the budget, raising the target for next year's deficit to 2.4 percent of gross domestic product. That is comfortably below the EU's 3 percent ceiling, but up sharply from a targeted 1.8 percent this year, flouting EU rules which call on highly-debt countries like Italy to narrow the deficit steadily towards a balanced budget. The Commission says the budget will push up Italy's public debt which already amounts to 131 percent of GDP, proportionately the highest in the euro zone after Greece's, rejecting Rome's argument that the expansionary package can lower debt by boosting economic growth. 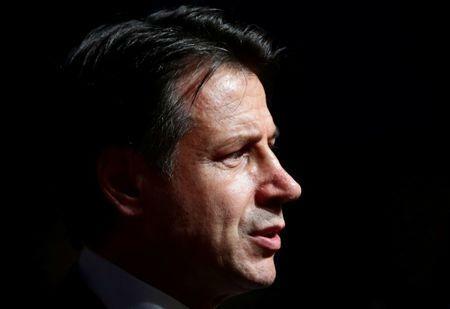 The budget marks "a change of gear for Italy", Prime Minister Giuseppe Conte said on Sunday, adding that he was confident the EU would soften its stance after the government has had the chance to explain its growth strategy properly. 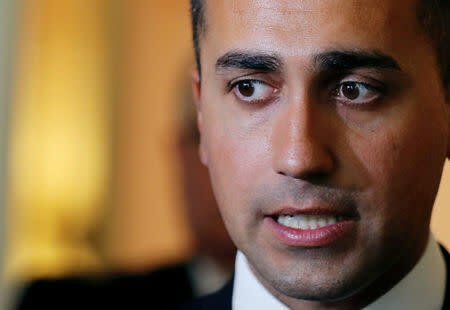 Deputy Prime Minister and 5-Star leader Luigi Di Maio said on Friday the cabinet would sign off on the package on Monday, but no time has yet been set for the meeting and many aspects of the budget measures have still to be hammered out. Ministers have said about 10 billion euros will be devoted to 5-Star's flagship policy of a basic income for the poor, while around 8 billion will finance a lowering of the retirement age. Less than a billion will go to fund tax cuts for the self-employed, a project championed in particular by the League. Despite international criticism and a sell-off of Italy's government bonds, the budget is popular with Italians. A survey by pollster Demopolis on Friday showed 52 percent backed the plan, compared with 38 percent who gave it the thumbs down.